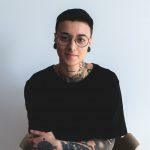 A few months ago, sixteen talented and influential artists were hand-picked and invited over to New York City for Modern Salon’s Artist Session Influencer Series. After bringing their concepts to life, the artists’ models were asked to jump in front of the camera and give New York fashion photographer Roberto Ligresti their fiercest looks. 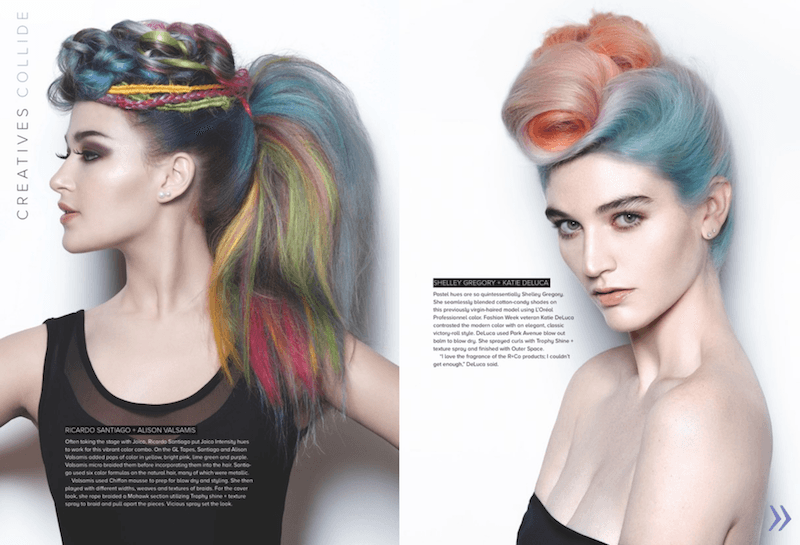 The wait is finally over: you can now check out all of the editorial photos from the event in Modern Salon’s August Issue! Get Your Copy Of Modern Salon’s August Issue! Download the digital version of the issue here. In the magazine’s latest issue, Senior Editor Jamie Newman looks back on the weekend and shares the stunning editorial photos that came from it. Find out more about what went down that weekend at Collective Plus (CO+) Salon, each artist’s expertise, how each look was created, and of course, allow yourself to be blown away by the results of shared and inspired creativity. Modern Salon, August 2018 Issue, page 92-93. Click on the image for more. Artist Session is for any licensed salon professional looking to learn how to conduct an editorial photo shoot, how to maximise those photographs and how to up his or her profile. Looking for inspiration? Meet Modern Salon’s top 100 social media beauty influencers. Get insights on their specialties, their favourite apps, pro tips, who they follow and how social media changed their life! 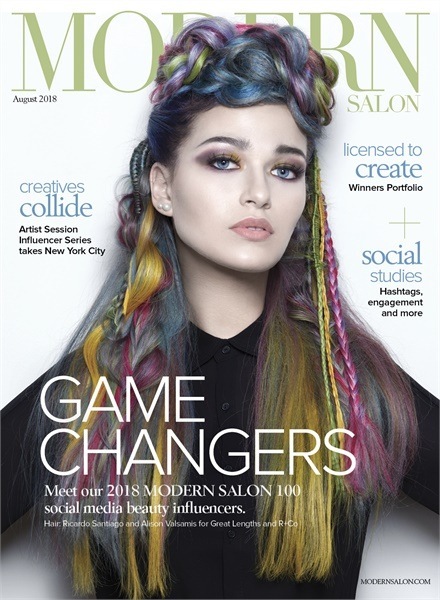 Download the digital version of the issue here, and for more information on Modern Salon’s October Artist Session, visit www.modernsalon.com/artistsession. Featured imaged from Modern Salon’s Artist Session Influencer Series editorial photo shoots by Roberto Ligresti. © 2018 Phorest Salon Software.